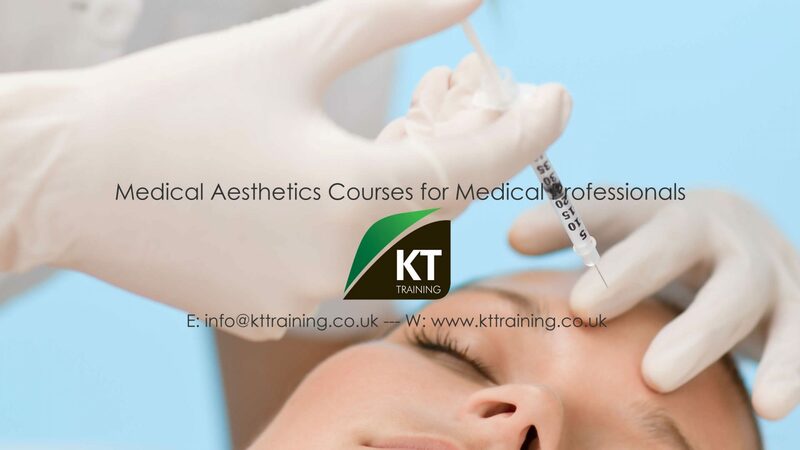 K-T Medical Aesthetics Training is a training company for medical professionals and should not be likened to a typical clinic service or environment in terms of appointment times and flexibility of booking regular treatments. K-T Models should be fully aware that the individuals (Medical Professionals Only) administering the procedures are being trained and are supervised by an experienced trainer. We provide all of our models, who choose to participate in our model program, with the highest patient and treatment care. Treatment procedures are greatly discounted due to the agreement of participating in our training environment. WE ARE NOT A CLINIC AND WE DO NOT MAKE A PROFIT FROM PROVIDING TREATMENTS TO MODELS. Appointment times are scheduled at specific times for the training course to run effectively, so therefore you should allow at least 2 hours from your appointment time for the wait and to get treated. If you cannot allocate this time it is best not to book a treatment as we do not appreciate being pressured on the day. Models who engage in this type of behaviour will be taken off the list. We require our models to understand the high quality of training that we aim to provide to our delegates attending K-T Training courses and to be aware that the model program is a vital part of that training. Therefore we require a high level of commitment in regard to communication and attendance of appointments. We need to confirm appointments prior to the training day- if we do not have confirmation from you within 48 hours of us contacting you then we will assume that you are unable to attend and we will cancel your appointment. It is essential that your appointment time is filled. We have means of checking if you are confirmed so please do not show up with evidence of a confirmation. We do confirm by phone but we will back it up with a written confirmation. If you do wish to cancel an appointment please contact us by telephone only as soon as possible on 07833 450375. Top up treatments for Botulinium Toxin procedures are not required following treatment with KT Training. We provide the full treatment on the day. Please expect a number of emails from K-T Training due to us promoting last minute appointments that are available. We apologise that this may not always be relevant to you and we ask you to simply ignore these emails if you do not wish to have such treatments. You can always request to be removed from our model database. Please update us of any new contact details as soon as you can. Before and after photographs are taken for K-T Training’s records only. They will NOT be used in advertising or published in any way without your permission. Due to the high volume of models we may not be able to reply immediately; please be patient as we will note your request and contact you as soon as we can. To request that a specific KT Trainer treat you and the Demo position cannot be pre-arranged, as we have a very precise schedule for each training day. If you wish a particular trainer treat you, it is best to book a private treatment at full price with this clinician. Please be aware of any upcoming holidays, special events or occasions that are planned around or on the actual day of your treatment. We have a detailed ‘General Post Treatment Care’ sheet that should be reviewed prior to your treatment. Bruising, skin irritation and swelling can occur with any cosmetic treatment. Always follow your post treatment instructions to reduce the chance of any reactions. If you are concerned about any excessive or adverse reaction to any treatment received or a problem has continued for over 7 days then please contact us on 01793 323423 and please email a photograph to info@cosmetictreatmentmodels.co.uk in order for us to see the problem visually. You may need to travel to different location to be seen our trainers. We are only in the training locations on the scheduled dates. Your patient medical history form will be thoroughly reviewed prior to your treatment. You will have the opportunity to ask any questions before your treatment. Please review the procedure information thoroughly to ensure you are not taking any medicines that may affect your treatment or you have any medical conditions deemed as cautions or contraindications (i.e. pregnancy, breast feeding, myasthenia gravis, infection). To keep up to date with models for KT Training please review this website for treatment . For the current dates and treatment availability refer to the Model Status Report. Again, please review the General Post Treatment Care sheet for further information on what to expect and what to do following your treatment. If you do not follow these instruction your treatment may be compromised. We prefer all appointments to be made by email as we are able to respond much more efficiently and quickly to your request by email. If you do not have access to email then please do leave a voice message on 01793 323423 and we will try to return your call as quickly as possible. We do not answer calls but you may leave a message on the model phone, landline or send us an email and we will confirm receipt of your message and give you a status report and openings for the requested treatment. To register your interest in an appointment please email info@cosmetictreatmentmodels.co.uk or complete the contact form on this web site. By registering my interest as a model I confirm having read the treatment information I am agreeing to these terms and conditions<<< click to return the model booking page and registration form. · If you are suffering from any skin infection in or near the treatment area or are unwell in any way. · If you have previously experienced allergic reactions to any of the ingredients or local anaesthetic. · If you are taking any medicines which affect bleeding, such as aspirin or warfarin. · If you are taking steroids or have autoimmune disease. · If you have any bleeding disorders. · If you suffer from a chronic or serious medical condition. · If you are currently or have recently completed a course of Roacutane in the last 18 months. · If you have active acne. · If you have a previously been treated with a permanent implant. in the area requiring treatment. · If you have suffered from keloid scars, scleroderma or epilepsy. You may not be suitable as a cosmetic model if you are currently working in the media or any other profession were you may require immediate correction if a minor adverse event occurs such as excessive bruising, minor swelling or minor infection that can occur with any non surgical treatment we recommend that you source a cosmetic clinic for your treatment.